A rough winter has pushed Peak Resorts deeper into financial turmoil, its 2016 fiscal year end report reveals. Peak Resorts' portfolio includes Attitash, Crotched, Mount Snow, and Wildcat. For the fiscal year, Peak Resorts' revenue declined by 8.7%, despite its Hunter Mountain acquisition, which would have represented a 26% increase in a normal season. Operating expenses increased by 1.4%. Excluding a prospective income tax credit due to losses, the company's fiscal year 2016 loss was $5.3 million, a -5.5% profit margin. The company measures its performance against its earnings before interest, taxes, depreciation, and amortization (EBITDA), which was $16.240 million in 2016. EBITDA is not recognized by the U.S. Securities and Exchange Commission. Long term debt has soared to $118.343 million, from $97.569 million in 2015. $15.5 million of the Hunter Mountain debt is not included in the long term debt figure. Much of the company's long term debt is interest only loans at a rate in excess of 10%, including its Attitash/Mount Snow debt, which recently increased to an 11.1% interest rate. Peak Resorts exited the fiscal year on April 30 with only $5.396 million in free cash. At that time in 2015, the company had $16.849 in free cash, $12 million of which was used in the subsequent off season. The $5.396 million cash balance included $1.640 million in cash transferred to Peak Resorts from Hunter Mountain with the $36.5 million financed acquisition of the ski area in January. To help with the dire cash situation, the company recently received approval for a $10 million bridge loan. The company also announced that, due to its ballooning debt, it will be forced to put another $3.3 million in reserve, pursuant to its credit agreement. Lender EPR agreed to defer this payment until the end of the 2016-17 ski season. Despite recently receiving United States Citizenship and Immigration Services authorization for its $52 million Mount Snow EB-5 immigrant investor offering, Peak is still awaiting I-526 approval. The company has already invested $13 million into the project, but has been unable to use the funds in escrow. Recently, the company announced three EB-5 investors have withdrawn their funds from the program. 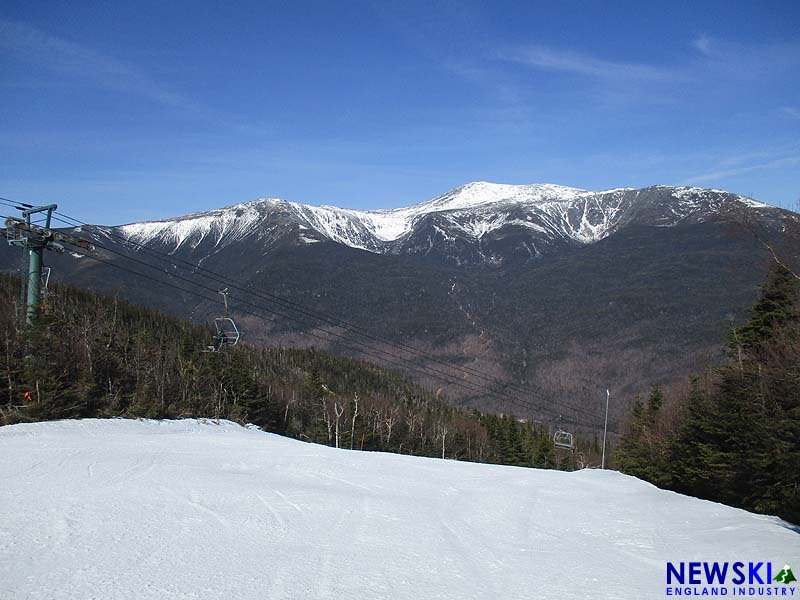 Meanwhile, the Mount Snow West Lake snowmaking project has been postponed due to the funding issues, as "due to the delay in the investor I-526 petition approval, we now estimate that the Projects will be substantially completed in advance of the 2017-2018 ski season." Due to the company's financial situation, only $3 to $4 million will allocated this year to small capital projects across its 14 ski resorts. 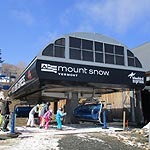 At Mount Snow, the Ski Baba chairlift has been removed and will be replaced with a conveyor lift. According to the annual report, "There are no major capital expenditure projects for fiscal 2017 anticipated. We currently plan to use cash on hand, borrowings and/or cash flow generated from future operations to provide the cash necessary to execute our capital plans and believe that these sources of cash will be adequate to meet our needs." Long term capital improvement plans are also in jeopardy. "We cannot guarantee that adequate funds will be available when needed, and if we do not receive sufficient capital, we may be required to alter or reduce our capital improvement plans." On Tuesday, May 10, Peak Resorts CEO Tim Boyd announced the company's quarterly dividend program had been discontinued until EB-5 funds became available. The 2016 annual report suggests future dividends are in jeopardy. "We cannot assure you [...] that we will continue to pay dividends in the future. The declaration and payment of future dividends to holders of our common stock will be at the sole discretion of our board of directors and will depend on many factors, including our actual results of operations, financial condition, capital requirements, contractual restrictions, restrictions in our debt agreements, economic conditions and other factors that could differ materially from our current expectations." On April 30, 2013, Peak Resorts had retained earnings of $4.564 million. Due to subsequent losses and dividends, the company's retained earnings balance now stands at -$11.234 million as of April 30, 2016.